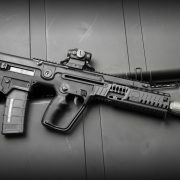 South Carolina-based American Tactical have introduced the Galeo, a rifle made from surplus Israeli Galil parts kits. Providing that classic Galil aesthetic with the 5.56x45mm, Galeo is available with both wood and polymer furniture. According to American Tactical, they worked with the Israeli Military to get their hands on original de-milled Galil rifles, formerly used […] Read More … The post American Tactical Introduces Galeo Rifle appeared first on The Firearm Blog. Good news for AR-18/180 lovers looking for that shorter package, Brownells have introduced the new BRN-180S, a short barreled version of their BRN-180 upper assembly. 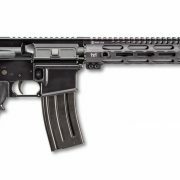 Now available for pre-order the BRN-180S has a 10.5″ barrel with an M-LOK handguard and the new short barrel has a .223 Wylde chamber. Here’s what Brownells had to say about […] Read More … The post Brownells Add BRN-180S: a Short-Barreled BRN-180 appeared first on The Firearm Blog. Ruger have introduced six new pistol calibre carbines to their Ruger PC Carbine range. The takedown PCCs are now available in .40 S&W as well as 9x19mm. A range of new finishes and four distributor exclusive models with varied stock colours have also been added as well as a new free-float MLOK forend which gives […] Read More … The post Ruger Introduce NEW Pistol Calibre Carbine Models appeared first on The Firearm Blog. Colona, Illinois-based Rock River Arms have begun shipping their new series of AR pistol calibre carbines. The Rock River Arms BT-9 comes in three configurations; two pistols with 7 inch and 10.5 inch barrels and a rifle with a 16 inch barrel. Yes, they take Glock mags. Here’s what Rock River Arms’ have to say […] Read More … The post Rock River Arms Begin Shipping BT-9 9mm Series appeared first on The Firearm Blog. The Elite Experience Giveaway program by Steyr Arms is giving you a chance to win one of three rifles as well as a free training course. Steyr is also offering a free course if you purchase a Steyr rifle at a value of $1250 or more. Each training course is designed around the type of […] Read More … The post STEYR’s Elite Experience Giveaway & Free Rifle Classes With Purchase appeared first on The Firearm Blog. SIG Sauer Academy has announced a new Concealed Carry course specifically built for women. The course was developed and is instructed by experienced women. The Academy concealed carry courses currently listed on the schedule are April 18-19, August 22-23, and November 15-16. The courses will be held in Epping, New Hampshire. 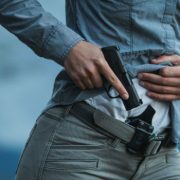 The Academy had this […] Read More … The post SIG SAUER’s Academy Lists New Concealed Carry Course For Women appeared first on The Firearm Blog. Hornady has been making Radio Frequency Identification (RFID) firearm safes for the last six years under the RAPiD Safe line. Hornady has just secured two patents relating to that RFID technology. 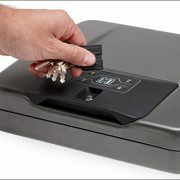 That line of safes allows users to open the safe with the right key card, key fob, or wristband. Simply waving the card or […] Read More … The post Hornady Receives Patents For RFID RAPiD® Gun Safes appeared first on The Firearm Blog. Ruger‘s Hawkeye Alaskan Rifle returns in three hard-hitting calibres, including .375 Ruger, .338 Winchester Magnum and .300 Winchester Magnum. The Hawkeye Alaskan rejoins Ruger’s Hawkeye line which includes the Hawkeye and the Hawkeye African. The Alaskan boasts Hogue OverMolded stock with a stippled rubber finish and accentuated grip. Here’s Ruger’s Press Release on the return […] Read More … The post Ruger Reintroduces the Hawkeye Alaskan Rifle appeared first on The Firearm Blog. 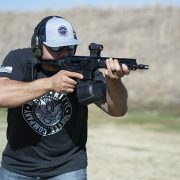 Palmetto State Armory announced through their Facebook page that they will begin selling High Cap Mags to California. 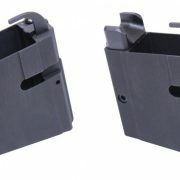 They have once again been deemed legal by a District Court in California, and can thankfully be called “standard capacity” magazines once more. 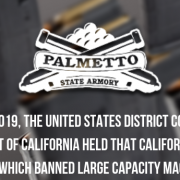 This is the Press Release that they published on their Facebook page: On March […] Read More … The post Palmetto State Armory pushing former Contraband (High Cap Mags) in Cali LEGALLY appeared first on The Firearm Blog. The County sheriff’s department in Hancock, Maine are making the switch from SIG Sauer to Glock with the department-wide adoption of the Glock 45 in 9x19mm. 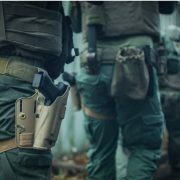 It follows the recent news that New Hampshire’s Grafton County Sheriff’s Department also selected the new Gen 5 Glock 45 and Glock 17 as their new service pistols. Here’s Glock’s press […] Read More … The post Hancock County Sheriff’s Department Selects the Glock 45 appeared first on The Firearm Blog. 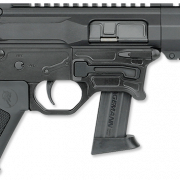 The South Carolina Department of Public Safety has selected FN America to supply the FN 15 Patrol Carbine. There is some logic in that, as FN America produce the carbine in the same state. 300 carbines have already been delivered by the local distributor Amchar Wholesale, with another 300 planned over the coming year. From […] Read More … The post FN 15 Patrol Carbine selected by the South Carolina Dept. of Public Safety appeared first on The Firearm Blog. 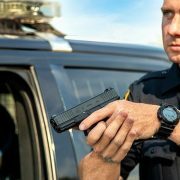 Many law enforcement agencies across the globe are continuing to switch to Glock firearms as their duty and service pistols. This list grows daily and can now include the Grafton County Sheriff’s Department as, they too, have made the switch to the highly-reliable Glock pistol. Sheriff Jeff Stiegler of the Grafton County Sheriff’s Department, with […] Read More … The post Grafton County Sheriffs Switch to New Gen5 Glock Duty Pistols appeared first on The Firearm Blog. SIG Sauer have announced that their ROMEO4H red dot optic has been selected by Minnesota’s State Highway Patrol. While Minnesota’s State Highway Patrol has over 500 troopers it has not been confirmed how many ROMEO4H sights have been purchased. The SIG ROMEO4H is a 1x20mm red dot with 50,000+ hour battery life and 4 different reticle options […] Read More … The post Minnesota State Highway Patrol Adopts SIG Sauer ROMEO4H Optic appeared first on The Firearm Blog. Paukatti Oy is a small company based in Finland. Their specialty is exporting shooting accessories, manufacturing and also reloading manual publishing. 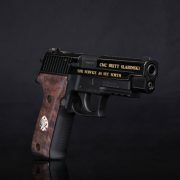 The owner is a long-time competition shooter in tactical military sniper competitions and in long-range shooting competitions. 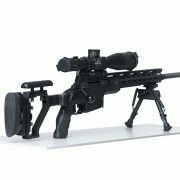 At IWA 2019 in Germany they displayed a new chassis for the SAKO TRG 22/42. Below you […] Read More … The post Pautac Precision Chassis for the Sako TRG 22/42 appeared first on The Firearm Blog. 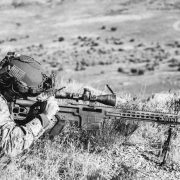 On 12th March we reported that Barrett Firearms Manufacturing had been awarded a contract worth nearly $50 million to produce their MRAD rifle fulfilling the US Special Operations Command’s Advanced Sniper Rifle (ASR) requirement. 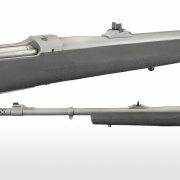 Barrett have welcomed the contract and confirmed that the rifle purchased is the MRAD or Multi Role Adaptive Design. 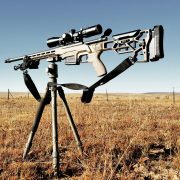 Here’s what Barrett had […] Read More … The post Barrett Celebrate MRAD Winning US SOCOM ASR Contract appeared first on The Firearm Blog. It was back on January 11th that we announced the debut of the NEW Oryx Bolt-Action Chassis Rifle Stocks by MDT (Modular Driven Technologies). That stirred up a lot of excitement in the industry because MDT is known for highly modular and equally great quality stocks. 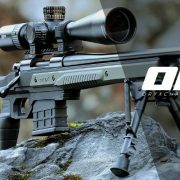 Now with the inception of the Oryx stock shooters […] Read More … The post ORYX Chassis Rifle Stocks Now Shipping through Legacy Sports International appeared first on The Firearm Blog. As the pistol calibre carbine market continues to grow in popularity, Guntec USA, based in Scottsdale, AZ, have announced the launch of their 9x19mm AR-15 magazine adapter. Guntec’s adapter has an aluminium body with steel inserts, including the extractor, it works with the classic Colt submachine gun magazines and holds the bolt open on the last […] Read More … The post Guntec USA Introduce 9mm AR-15 Mag Adapter appeared first on The Firearm Blog. 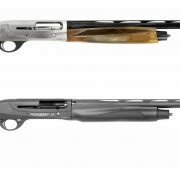 Wyoming-based Weatherby have announced the launch of a new line of 12 gauge inertia action shotguns. Weatherby recently made the move from California to Wyoming and are launching the new 18i Italian-made shotguns as their first line launched from their new home. Here’s Weatherby’s press release on the new shotguns: Weatherby is proud to announce […] Read More … The post Weatherby Introduce New Italian-made 18i Inertia-Driven Shotguns appeared first on The Firearm Blog. Manly smelling soap isn’t the most gun related product announcement you’ll see on TFB, but keeping you aware of products that exude gunnery counts, right? Perhaps you’ve been looking for something to replace your Hoppe’s No. 9 makeshift cologne that your significant other has been complaining about. Outlaw Soaps create a variety of western themed soaps. 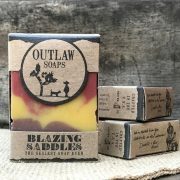 […] Read More … The post Outlaw Soaps Make Soap That Smells Of Gunpowder And Leather appeared first on The Firearm Blog. 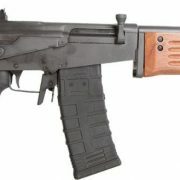 Legacy Sports International have announced their Vepr 12-style magazine fed 12 gauge shotgun the Citadel RS-S1 is now shipping. 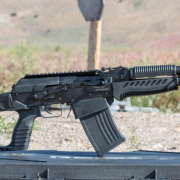 Here’s what they have to say about the new shotgun: One of the most versatile shotguns to have this year is the new Citadel Semi-Automatic RS-S1 Shotgun, based on the popular AK platform. 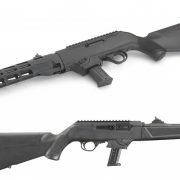 The RS-S1 is […] Read More … The post LSI Citadel’s RS-S1 Shotgun Begins Shipping appeared first on The Firearm Blog. If you haven’t followed our recent coverage of OSS Suppressors, the Millcreek, UT based company has undergone a near-complete transformation in the past few years. What used to be a hexagonal, multi-part suppressor that would confuse even veteran NFA owners, is now a sleek, round, one piece tube available in either steel or titanium and […] Read More … The post Muzzle Your (Bull)Pup – OSS Is Now The Official Suppressor For IWI appeared first on The Firearm Blog. There have been rumors circulating that United Sporting Companies (USC) was in bad trouble and could potentially be going bankrupt. To quench those rumors, USC has made a Press Release to announce that instead, they are consolidating warehouses in hopes to improve their efficiency and save on costs. 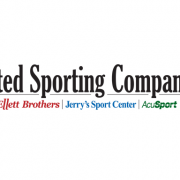 The Press Release was first sent to […] Read More … The post United Sporting Companies NOT Going Bankrupt; Consolidating Warehouses appeared first on The Firearm Blog. 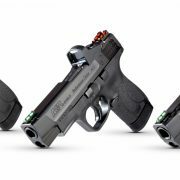 Magnum Research is most famously known for their “Big Boys,” their “D-Eagles,” or whatever affectionate moniker you would like to tie to the company who makes handguns in all things large. 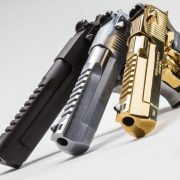 A new title they can add to their growing legend is “Made in the USA” because now all of their Desert Eagles will be completely […] Read More … The post Desert Eagles Now Completely Made in the US by Magnum Research appeared first on The Firearm Blog. 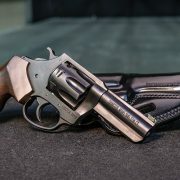 Charter Arms are launching a new revolver, the Professional, chambered in .32 H&R Magnum at the 2019 Concealed Carry Expo. Here’s what Charter Arms have to say about their new revolver: Charter Arms, manufacturers of affordable, American-made revolvers for more than 50 years, will introduce the PROFESSIONAL model at the 2019 Concealed Carry Expo May 17-19, […] Read More … The post Charter Arms to Unveil New Professional Revolver at Concealed Carry Expo appeared first on The Firearm Blog. 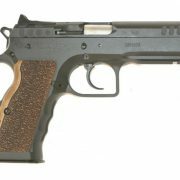 The Italian Firearms Group (IFG) is an Amarillo (TX) based importer established in 2010 and specialized, you guessed it, in Italian made firearms. Their main brands are F.A.I.R., Pedersoli, Sabatti, and Ft. Italia. The latter manufacturer, unlike the others, can sound like a new name to those already familiar with Italian firearms. It turns out […] Read More … The post IFG Introduces The Defiant Stock I Pistol appeared first on The Firearm Blog. 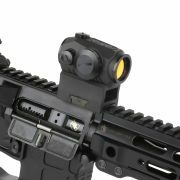 Gun Dynamics have announced a crowdfunding campaign to bring XTech Tactical’s Smart Laser to market. XTech Tactical are better known for their grips, magazines and other accessories, the laser is new ground for the Arizona-based company. 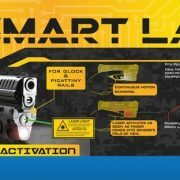 The Smart Laser has a sensor which detects the shooter’s finger movement and turns on the laser or 200-lumen […] Read More … The post XTech Tactical and Gun Dynamics Launch Smart Laser appeared first on The Firearm Blog. 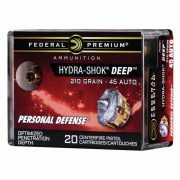 Federal Premium has expanded out their line of Hydra Shok Deep to now include .40 S&W and .45 ACP for those who rely on those cartridges for carry and protection. This bolstering of the Hydra Shok Deep line of ammunition occurred recently in the middle of February and firearm retailers are now seeing shipments of […] Read More … The post Federal Premium Bolsters their Hydra Shok Deep Offerings with .40 S&W and .45 ACP appeared first on The Firearm Blog.